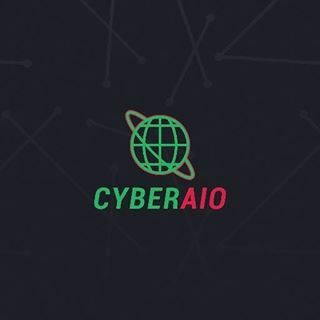 Cyber AIO is the most advanced auto-checkout service for limited edition sneakers and apparel across the market. Thanks to the latest technologies it can act and checkout items as fast as it is even possible. So you won’t miss any drop. Cyber AIO is the most advanced auto-checkout service for limited edition sneakers and apparel across the market. CyberAIO’s retail price is £200. It restocks normally every 3 months and releases only around 50 licence keys, which for one of the best bots is normal. Being one of the best and having low stock means it has a really high resell price: CyberAIO goes for extraordinary £3,100-3,400!!! So don’t have high expectations to buy it for the retail price. It comes in the renewal package, so you need to pay £50 every 6 months to renew access to Cyber AIO. Thanks to the latest technologies it can act and checkout items as fast as it is even possible. So you won’t miss any drop. Very simple install and user-friendly interface are suitable for all types of users, so this app installation isn’t much more complicated than usual launch of your computer. Cyber AIO automatically bypasses Shopify checkout queue and solves captchas. It gets all the dirty job done so you can enjoy your purchase. Also, you can create as many tasks as you even wish and run all of them at once, that won’t affect negatively the result, on the contrary it will increase your chances of having new sneakers (Supreme for instance). The average Supreme checkout time is 1.2 seconds and 1.4 for Shopify sites! It supports more than 120 online shops all over the globe, for example: Supreme, Size?, Lacoste, Yeezy Supply, Bodega, Kith, Footlocker, Footpatrol, Xhibition and more. So you do not need to buy several sneaker bots for each site, Cyber AIO combines almost everything. Even in case of failure it helps you get desired items. If you had missed the drop, Cyber AIO will do its best and checkout the item when it restocks. Also it is compatible with Windows and Mac OS . And in addition this app provides proxy and AFK support. The app is simple and easy to use and offers all tools you need! Do not hesitate to buy this product, it offers only the best instruments for the most affordable prices.